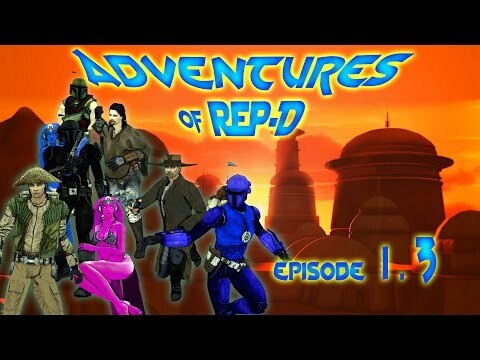 This is a series that I started with the help of my guild mates in Star Wars Galaxies, that satirizes the (mostly) true, exaggerated experience with certain events and other players that we met along the way - I started this series back in 2010, with filming choreographed and well edited (as best as I could at the time) video within Star Wars Galaxies, while the game was still live. At some point after the "Live" game shut down in 2012, I went back and re-edited/Re-shot/Re-booted, the whole thing, which is what you see here with the first 2 episodes (faster edits and dropping some plot elements that went nowhere) - which, in my experience are the best examples of making Machinima with SWG. Between the 2nd and 3rd episodes, I struggled with both real life and weather or not I continue making the videos in some other engine (you see a short clip of my work in Skyrim, at the beginning of episode 2). Long story short; finally settled on Source FilmMaker for all future episodes due to the Source Engine's flexability. As of right now, with real life, this is just a "when it's done" sort of project. Still partially through animating the next one while making revisions to the scripts. Everyone is credited for their terrific voice work.